Toddlers are fun, aren’t they? They’ve reached an age where independence, freedom, and curiosity has overcome them. Toddlers are like sponges, ready to soak up every ounce of information they desire, resulting in non-stop energy. For many parents, the toddler age can be exhausting as they are constantly trying their best to fulfill every demand — frankly, it’s just not possible. 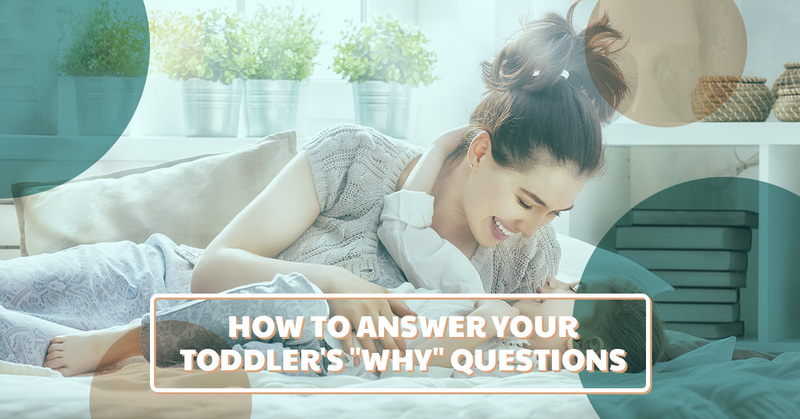 Aside from potty training, toddlers are reaching a wide range of milestones within these short years until they reach pre-k. Their little brains are on overdrive, ultimately causing them to ask questions — a lot of questions. It starts off exciting and might even leave you thinking to yourself, “that’s actually a great question…” You’ll soon feel like you’re being interrogated, and if you don’t answer their questions exactly how they want you to, you’ll fall into a never-ending cycle of “why” questions. Why does the dog walk on four legs? Why is Mommy hiding from me? Entertaining questions, that can sometimes be a little critical, has got to give at sometime and you must find a solution to seize these questions, fast. At Strong Start Early Care & Education, we understand the struggle you’re going through but for us, we embrace this phase within our child care curriculum to help your child grow — and to relieve you of so many thought provoking questions. Our child care center in Trumbull fosters your child’s yearning to discover and learn about the world around them through our unique toddler program. The toddler program at A Strong Start aligns with Connecticut’s early learning and development standards with classroom structure and everyday routines that satisfies their curiosity. If you’re interested in our Trumbull toddler program, schedule a tour at our day care center today! Our Trumbull day care center curriculum has the tools your toddler needs to learn and grow, however parents still play a significant role in their development as well. While we’d love to say that enrolling your toddler with us will put the “why” questions to rest, we can’t make any guarantees. The first step to answering so many questions from your toddler is to understand the reason behind their curiosity. The easiest way to understand why your toddler has so much to ask is because everything is new to them. Like a puppy going on his first walk, everything is so foreign and strange to puppies that they feel the need to stop and sniff every blade of grass, rock, and bug along their path. Toddlers and preschoolers are the same way. What may seem “normal” to you introduces so much wonder to your child, and they want to understand more. However, their curiosity is far more established than their language skills and the way they express their curiosity is limited to one word — why. Additionally, many toddlers and preschool-aged children want to communicate, but don’t quite know how to yet. However, they do know how to prompt a conversation and get you to engage with them. Try to give your toddler a break and give them a little bit of credit, they deserve it! Some of the questions your toddler will ask are rather simple. Every once in a while, they’ll throw you for a loop and you’ll have a brief flashback of listening to your college professor ask a tough question that leaves you completely stumped. It’s not a good feeling. When it comes to answering your toddler’s challenging questions, you have two options. You could either make something up completely in hopes that they have enough information to think about for the next five minutes — after all, they don’t really know the answer. Or you can do your best to answer them honestly and earn their trust. Our advice is to give them short, simple answers in a context that makes it easy for them to understand. Keep in mind, it’s okay to tell them you might have to think about the right answer. Answering the really tough questions that have a sensitive and serious undertone such as death, it’s best to keep your answers light and don’t avoid them. If you avoid these questions, they’ll continue to ask you, ultimately leading you to become frustrated. Should you end up becoming frustrated and annoyed with the relentless questioning, stop and take a few deep breaths. Remember that these questions are not directed toward you, the questions are just products of your child’s curiosity and desire to connect with you. Instead, try turning the question around to them and ask them what they think. This exercises their critical thinking and usually results in a pretty comical response. The phase of “why” questions will feel endless. And the truth is, it is. But it just evolves into more mature and serious questions. Which is why it’s important to maintain their trust and embrace their admiration of your intelligence while they’re young. At A Strong Start Early Care & Education, we’ve structured our toddler and preschool programs to foster their desire to learn. 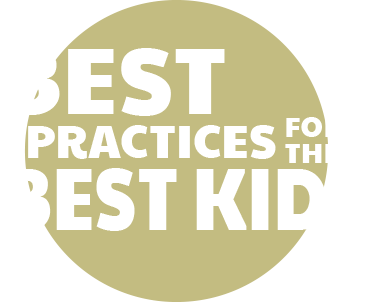 We believe that every stage in a young child’s life is critical to their long term educational success. If you’re searching for a child care center in Trumbull with the best toddler programs, contact us to schedule your tour today!